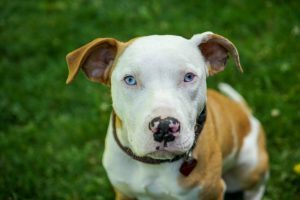 Dog bite injuries and attacks are always frequent in California, but according to a recent article in Claims Journal, dog bite insurance claims rose by 2.2% nationwide in 2017, which resulted in payouts totaling approximately $700 million. In all, “dog bites and other dog-related injuries accounted for more than one-third of all homeowners liability claim dollars paid out in 2017,” or more than 33%. National Dog Bite Prevention Week runs from April 8-14, and it is important for dog owners to be aware of risks in order to prevent an attack or a dog-related injury to happen in the first place. However, when dog bites or “dog frights” do occur, dog owners really should be prepared with an insurance policy that can provide adequate coverage. Most homeowners’ insurance policies, according to the Reuters article, provide coverage of about $100,000 in the event of a dog bite or dog-related injury case on the homeowner’s property. This is typically sufficient to cover a dog bite claim, but many renters do not pay for renters’ insurance. As such, those renters can have significant financial problems if they face a lawsuit after their dog attacks. When injuries are particularly severe, a typical homeowners policy may provide inadequate coverage. Dog bite injury claims last year resulted in an average payout of more than $37,000, which represented an 11.5 percent rise in the average cost per claim. Claims have risen significantly each year, and the Insurance Information Institute (III) expects that the average cost per claim will continue to rise. When dog bite lawsuits ultimately go to juries to decide, the Claim Journal article emphasizes that jury awards have also been on the rise. California, along with Florida and Pennsylvania, had the highest number of dog bite insurance claims in the country. There were 2,228 dog bite injury claims in 2017, which represented a significant increase from the 1,934 claims in 2016. In addition, the average cost per claim was highest in California, totaling more than $90 million in claims in 2017 alone. The average cost per claim in California was more than $40,500. To put those numbers in perspective, California payouts represented more than 13% of all dog bite claims nationwide in terms of cost. Moreover, claims in California accounted for more than 12% of all claims filed nationwide. Were you injured in a dog attacked or a dog-related injury? An experienced Encinitas dog bite injury attorney can assist you. Contact the Walton Law Firm to discuss your options.